The Rivers State Police Command has said that security has been beefed up in the State as INEC commences the collation of the Gubernatorial and House of Assembly Election Results, scheduled to begin tomorrow 2nd April 2019. The State Commissioner of Police and the Chairman of the Inter-Agency Consultative Committee on Election Security (ICCES), CP Usman .A. Belel, after a meeting of the Agency and other bodies superintending over the Elections, agreed to put in place adequate security measures, to ensure that the entire process is transparent and seamlessly carried out. “Massive deployments of Police Personnel and other Sister Security Agencies to the venue and the outer perimeter of the Collation Centre. “Total closure of the PH/Aba Express Road, the stretch from the Waterlines to the GRA junctions, both in and outwards of the roads. Diversions only, to Olu Obasanjo and Polo Club Roads. 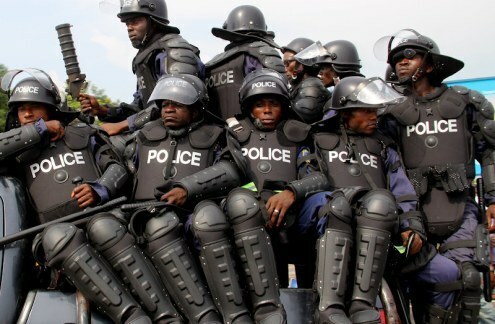 “The Commissioner of Police has noted with concern, the temporary hardship the closure will occasion and hereby appeals to the public to show understanding and bear with us, as the closure is done in the overall interest of the public and intended to provide a conducive atmosphere for the Collation Exercise. “Politicians, Candidates and indeed unauthorized persons are seriously warned to stay clear from the Collation Centre, as any person or group whose act or omission undermines the process will be arrested and prosecuted in accordance with the Electoral Act”. The CP reiterated the Command’s avowed determination to provide adequate security for the resumed Collation Exercise and ensure that the process is open, credible and stands the test of time. He also solicited the unalloyed cooperation and support of the people as the prosecution of the last lap of the collation gets executed.